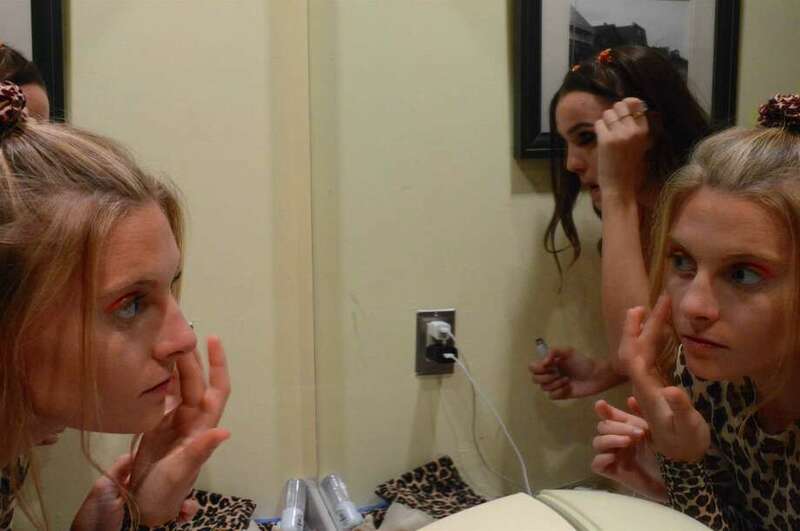 Abby Jajarian, 17, of Westport, applies her makeup for the second annual Fashion for a Cause Club's design show held at Toquet Hall on Sunday, Sept. 24, 2017, in Westport, Conn.
WESTPORT — It was a good cause and great design at the Staples High School’s Fashion for a Cause Club’s second annual fashion show at Toquet Hall Sunday afternoon. “All the proceeds are going to Stomp Out Bullying, and we’ve already raised over $8,000,” said Emerson Kobak, 17, of Westport. A burgeoning designer, she’s channeled her own traumas with bullies into this awareness enterprise. Original designs of Kobak’s and friend Alessandra Nagar, 17, were featured at the show.